What does Social Proof (SP) index measure? Social Proof Index helps you filter out the noise and concentrate on “media worthy” sources. Journalists can quantitatively measure a given brand’s press coverage in terms of placement quality, impression, and search ranking. Startup trends on your fingertips, based on your interests and beats. 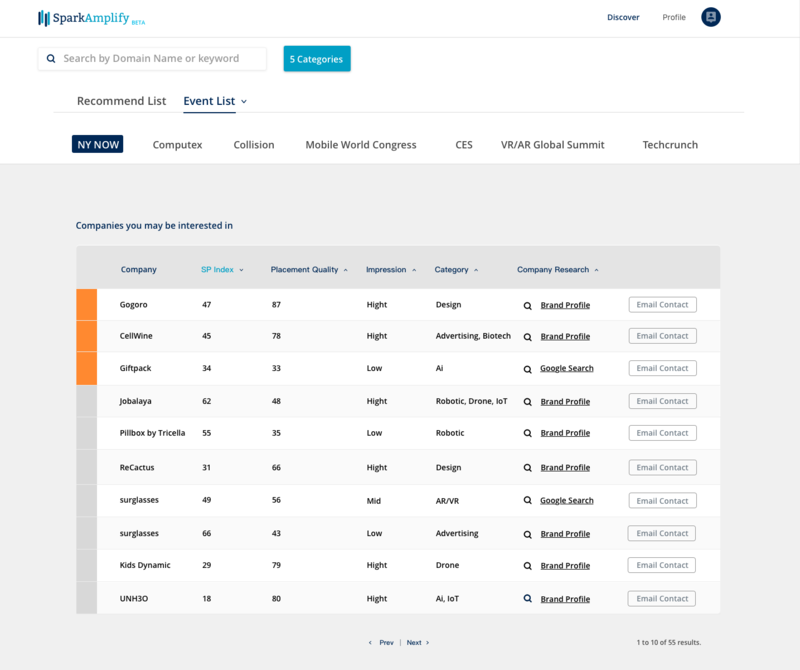 Journalists from around the world love SparkAmplify. Our AI model analyzes and spots can’t missed startups for you. 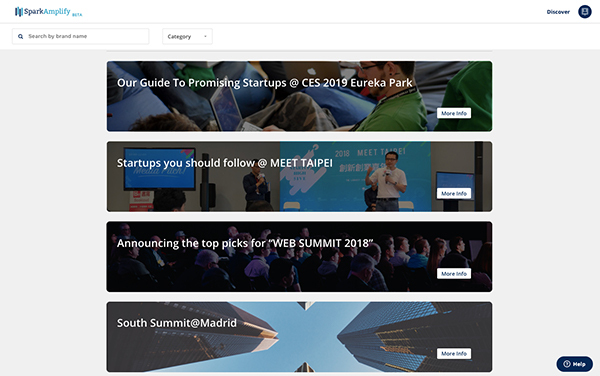 Access their media-friendly brand profiles and collect relevant press information (description, founder’s corner, product feature, videos, pictures, milestones, past press coverages) all in one place. Let SparkAmplify help you with your next big story. What can I do with my media profile? 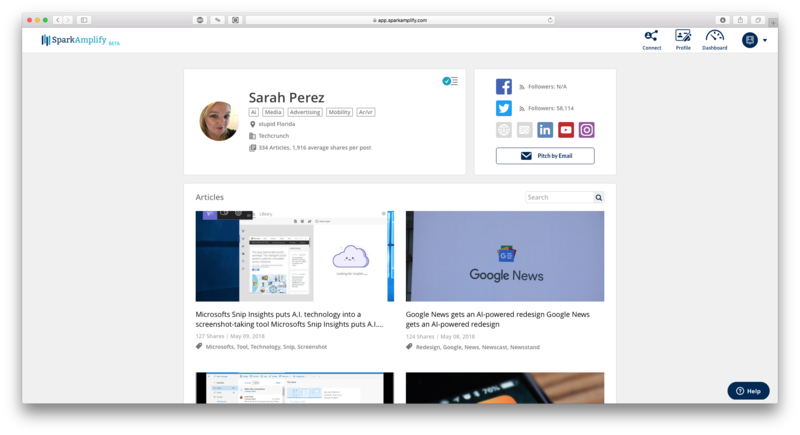 Keep track of all your articles in one place so you can manage and share with your readers. Media profile is an up-to-date repository of all the articles a media professional have ever written and all those that will be written in the future, regardless of where they are published(automated, no need for manual updates).